Maybe the Queen of Canada’s effigy looks at us through her peripheral vision — but I wouldn’t even call that a one-eyed stare. I normally don’t bother responding any longer to these obligatory anti-monarchist op-eds that tend to appear each July, if only because the republican arguments remain constantly inaccurate — almost like a political science equivalent of Newton’s Laws. Most republican op-eds and essays these days adhere to the same formulaic tropes, like vague appeals to an over-arching historical dialectic or teleology, and refusal to acknowledge how the Crown of Canada has evolved since the 19th century. They’ve become boring to read. From 2011 to 2014, I wrote about a dozen blog entries on the subject of anti-monarchism, and I’ve covered all of their core arguments therein. In particular, I’d point readers to my response to Paul Heinbecker from July 2014. (July is their favourite month). As I’ve demonstrated and documented in depth in these previous posts, prominent republicans like Paul Heinbecker and Duff Conacher present mendacious or outright deceptive and false assertions as truth and can’t (or choose not to) get the basic facts right. One can make a normative case for republicanism or present proposals on precisely how the Dominion of Canada could become the First Federal Republic of Canada. I suspect that republicans can’t or don’t get the facts right because they care more about normative propositions than how the current system in fact works. Why would they waste time learning about a constitution that they want to mutilate or destroy outright? But this column is different. It presents some mistakes of a different type. Mandy Pipher, whom the Toronto Star identifies as an PhD student of English at the University of Toronto, relies on the predictable republican tropes. But she also doesn’t even seem to understand the distinction between a subject in portrait and a subject in profile. It’s good that she’s not an art history major. 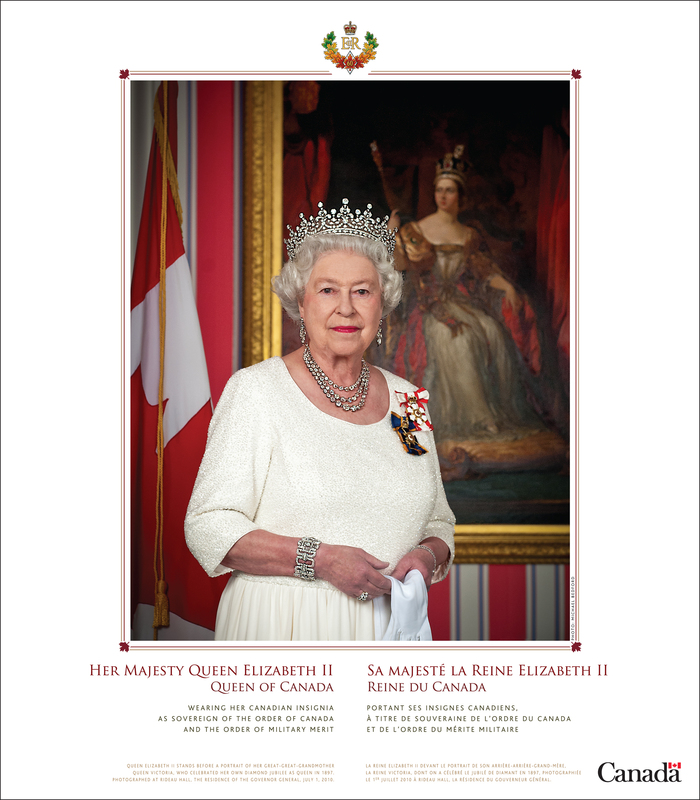 The Queen of Canada’s official portrait is a good example of a portrait, in the sense that the eyes look outward. First of all, even across the Atlantic, Elizabeth II is the Queen of the United Kingdom of Great Britain and Northern Ireland, not the “Queen of England.” Ironically, Pipher has committed some colonialism of her own by equating England, one of the four nations of the United Kingdom, with the United Kingdom itself. And the effigy of the Queen of the United Kingdom which adorns the Royal Mint’s coins looks distinct from ours. The Royal Mint’s likeness is, quite frankly, far less flattering. I don’t really like it that much. The Canadian likeness is better! 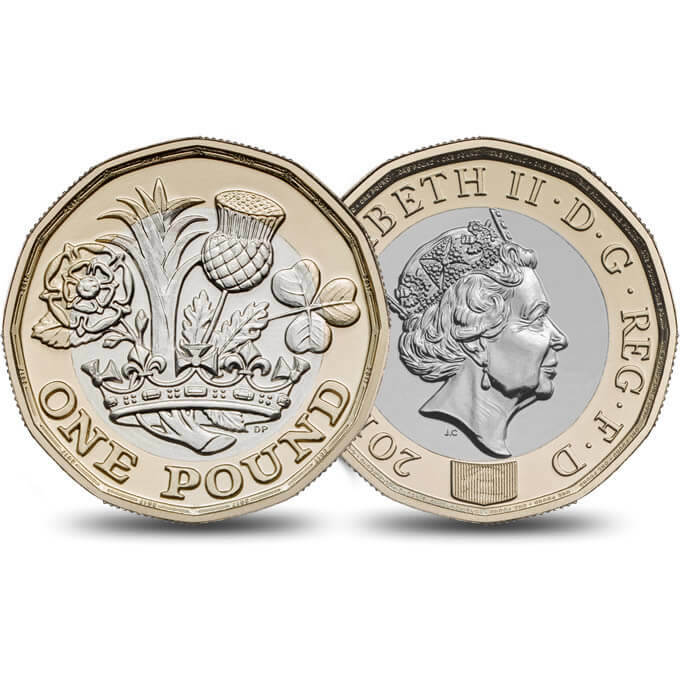 And the One-Pound Coin even depicts the floral emblems four nations of the United Kingdom: the English Tudor Rose, the Welsh Leek, the Scottish Thistle, and the Irish Clover. 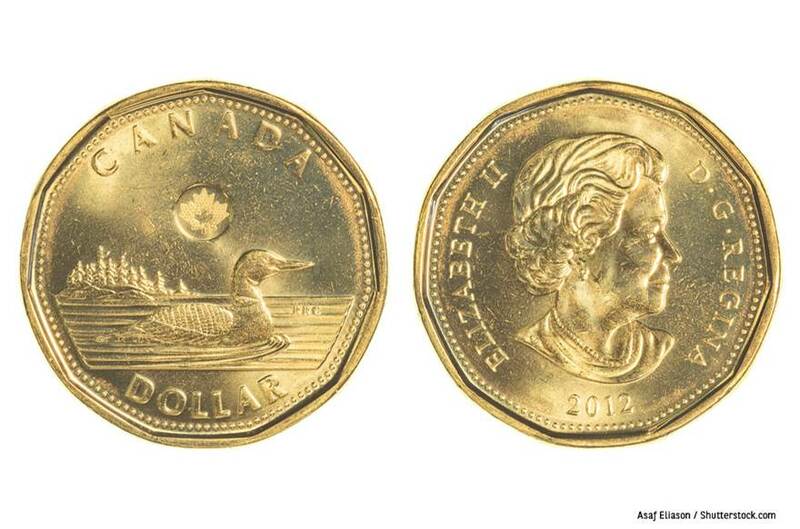 Second, the likeness of the Queen of Canada on the Royal Canadian Mint’s coins isn’t looking at us one-eyed; in fact, she’s not looking at us at all. The Sovereign’s likeness is depicted in profile, which means, by definition, that the effigy is looking away in the distance and not at the person holding the coin. Only likenesses depicted in portrait look at us, normally with both eyes. The rest of the column contains numerous unfounded assertions which, unlike the aforesaid, don’t even have the virtue of being amusing. Wrong. First, the governors today represent the Queen of Canada, a separate legal person from Queen of the United Kingdom. The one and indivisible Imperial Crown of the 19th century has multiplied into a personal union. Second, the lieutenant governors have always been appointed by the Governor-in-Council (i.e., the Governor General acting on the advice of Cabinet), even in the 19th century, so they never held a direct link to the Empire in the way that Governors General did until the 1930s. As discussed, wrong. And repeating “the Queen of England!” with an exclamation mark doesn’t make it any less wrong. Somehow, Canada is simultaneously the colony of a distant, tyrannical parent, but it is also bad that the British government today treats Canadian citizens as something other than British citizens. “The British feel no special connection to us. Their government treats us no differently than the U.S. or any other ally. Pipher’s own testimony shows that Canada is an independent, sovereign state — which is why the Government of the United Kingdom doesn’t treat Canadian citizens as British citizens, and why British banks and Canadian banks are subject to different sets of laws and regulatory frameworks. “My administrative woes are not the point; I share them as a glimpse into how much Canadian and British economic, political, and cultural systems have diverged. As Canadians, we are not treated like we belong in England, any more than Americans or Italians; the same is true of other Commonwealth citizens. Again, this is because Canada is an independent, sovereign state and no longer a colony of the Imperial Crown, which itself no longer exists as such. As with Heinbecker’s accounts from his article in 2014, Pipher’s anecdotes prove the opposite of what she’s trying to argue. The British government treats Canadians like foreigners in most matters because we are not British citizens; the Common Imperial Citizenship died on 1 January 1947 when the Canadian Citizenship Act entered into force. The British Empire of Crown colonies and territories has long since given way to the Commonwealth of Nations, which consists, in the main, of former British colonies which have since become republics and the 16 Commonwealth Realms that make up the personal union of Crowns. Incidentally, Pipher’s assertion that “Canadians are not treated like we belong in England [sic]” — should be United Kingdom — “any more than Italians” is false, for at least two reasons. First, citizens of other Commonwealth Realms, and even some of the republics which are member-states of the Commonwealth of Nations, are classified under British law as “Commonwealth Citizens” — not British, but not completely foreign either. The United Kingdom thereby grants Canadians, and citizens of other Commonwealth countries, the right to vote in British elections after living in the United Kingdom for a certain time. However, the rights of Commonwealth Citizens in the United Kingdom do not extend to immigration and border control — which is why Pipher had to fill out a lengthy visa application in order to study at a British university. Second, the United Kingdom is still a member-state of the European Union (though that will soon change), which means that, under the Treaty of Maastricht, it has no authority to restrict immigration levels of passport-holders of other European Union member-states, like Italy. So in these ways, both a Canadian and an Italian would be treated differently from one another and differently relative to an American under British law. In other words, British law pertaining to citizenship and border control (until the Westminster Parliament sorts out Brexit) currently recognizes these four distinct categories of citizens: British citizens, Commonwealth citizens, European Union citizens, and citizens of all other countries. But border checkpoints and passport control at customs normally separate travellers into two line ups, one for British and other European Union passport-holders, and one for everyone else. Overall, Pipher’s column is self-contradictory. On the one hand, she vociferously opposes the history of the British Empire and considers it tyrannical; on the other hand, she laments the fact that the British government treats Canadian citizens like foreigners in most areas — even though this can only be true precisely because of the fact that Canadian is an independent, sovereign state and not a colony within a tyrannical Empire. More than likely, this column stems from a personal resentment and a bad experience with the British civil service and/or the British university at which she studied. It certainly doesn’t flow from facts. Paul Heinbecker’s Efforts to Delegitimate the Crown of Canada. This entry was posted in Monarchism v Republicanism. Bookmark the permalink. 3 Responses to Why Can’t Anti-Monarchists Get the Basic Facts Right? How quickly republicans forget that it was the Crown, and not the federal government, that established the rights of indigenous peoples and established a duty for all future government’s to protect and care for their national rights. without the Crown there is no force of law binding on the government to approach aboriginal rights on a nation-to-nation footing. And we saw the fruits of this play out in the US, who did not have a honourable Crown guiding their expansion into the West which lead and fed an active campaign of genocide against indigenous peoples. We were not perfect in Canada, but at least aboriginal people can always point to the wrongs committed by the federal government by appealing to the ideals set forth by the Crown. The fact that this gets overlooked in the rhetoric today is troubling for me. Crown? Yes, the Imperial one. But to suggest that the Crown acted as it did without any sort of governmental direction seems to be incorrect. Another good one I just got around to reading! Yes, don’t blog about your other experience!